Back in 2013, I wrote an article for the Kagan Online Magazine titled, Becoming Exemplary with Kagan. In the article, I shared how my use of Kagan Structures helped me get awarded the title “Rodel Exemplary Principal” and how I used Kagan Structures to great effect to increase student achievement, and improve student discipline at Cheatham Elementary school. I ended the article stating that I took on the challenge of taking over the principalship of Madison Camelview in Phoenix, Arizona. It was my goal to duplicate the success I had using Kagan Structures at Cheatham. I am pleased to report that I was able to achieve even greater success at the second school using many of the same Kagan strategies I used at my former school. 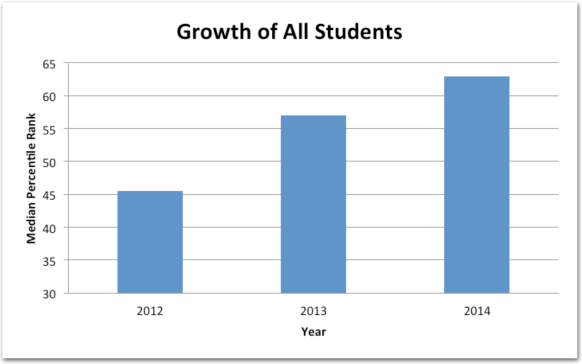 During the three years I was principal, the students displayed growth on their Arizona standardized test (AIMS) scores, improved behavior, improved social skills, and improved critical thinking skills. 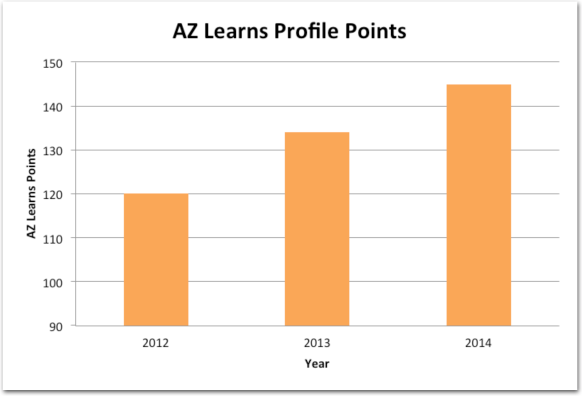 As a result of these continuous improvements, Madison Camelview achieved an “A” label from the Arizona Department of Education’s AZ Learns school profile for the 2013-2014 school year. Arizona’s school labeling system is based on the A-F letter grade system and an “A” is the top label a school can earn. Madison Camelview Elementary School is a Title I school with 84% free and reduced lunch, a 28% ELL population, and a 10% special education population. It is also a diverse campus with 3% Asian, 10% black, 56% Hispanic, 11% Native American, and 20% white. Cheatham Elementary was also a high poverty and incredibly diverse campus. We had 72% free and reduced lunch, a 25% ELL population, and a 10% special education population. Our students were 40% Hispanic, 35% black, 18% white 5% Asian, and 2% Native American. 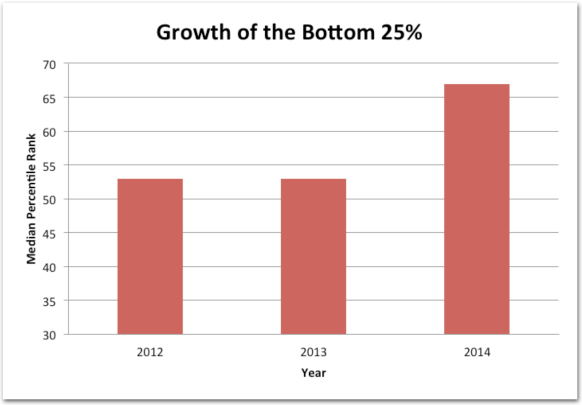 Despite high rates of poverty and a very diverse student population, we were able to achieve at high levels. 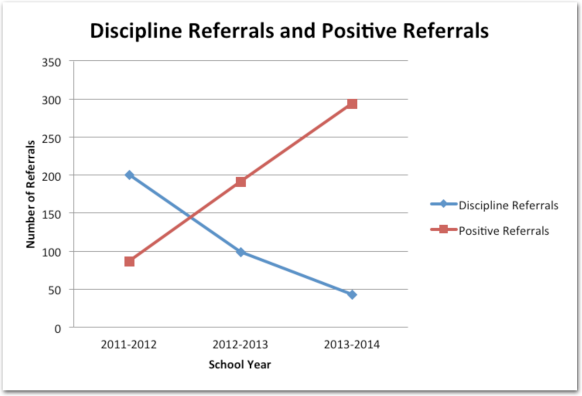 I attribute this success to the frequent use of Kagan Structures with great fildelity. Throughout each lesson and each day, the students and teachers were highly engaged in learning through the use of structures. 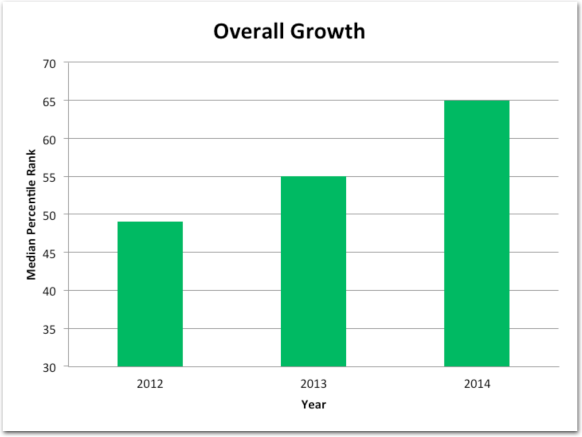 The state assessment results, shown in the graphs, highlight the growth in AIMS (Arizona’s Instrument to Measure Standards) scores. 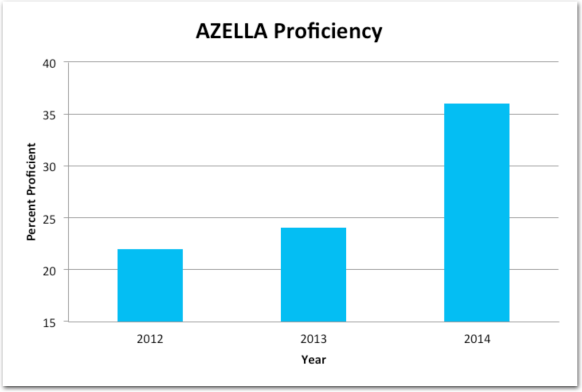 While overall proficiency has fluctuated, growth measures have continued to increase as well as ELL proficiency and AZ Learns Points. Drastic behavioral or academic turn-arounds in class. 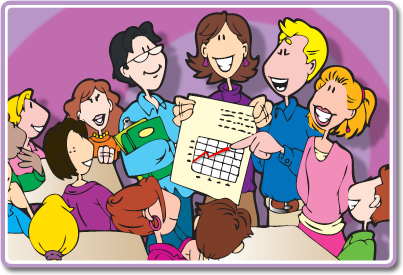 How did the use of Kagan Structures become so ingrained in a school's instructional culture? At Madison Camelview, I replicated many of the same strategies that were used at my previous school. Kagan Certification. I attended Kagan Trainer Training and became a Certified Kagan Trainer and have maintained that certification since 2006. The training has allowed me to provide my teachers with training as well as increase the engagement at all professional development and staff meetings. I also attended Kagan Coaching. Kagan's coaching method allowed me to provide real-time teacher feedback and expanded my ability to provide teachers with written feedback. Unlike my previous school, I was unable to provide my entire staff with the week-long Kagan Cooperative Learning course. Throughout my tenure as principal, and using the Kagan trainer methods, I was able to provide the teachers with the knowledge and skills necessary to successfully implement structures in the classroom. I taught a structure a month. The teachers were then given homework. They had to use the structure at least once prior to our next professional development session. Each time they tried the structure they wrote down what went well and anything they thought could go better. The teachers also signed up for coaching on the structure of the month. I used the Kagan coaching method to guide teachers for immediate improvement of the structure's implementation. The following month's professional development session always started with the teachers sharing their experiences with each other and a group share out to celebrate, trouble shoot, and share management tips and adaptations to structures, especially for K-1 students.